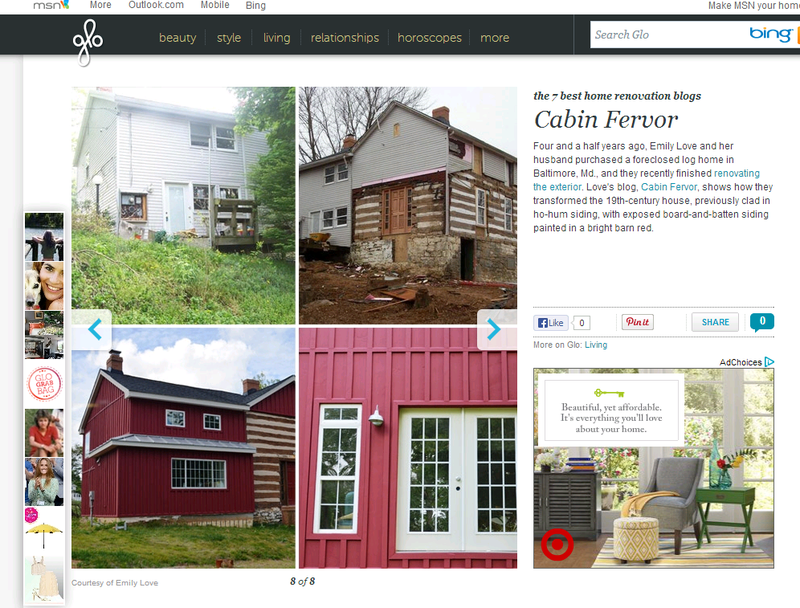 Cabin Fervor: CABIN FERVOR ON GLO! It's exciting times, everyone. This week, glo.com, an online lifestyle magazine by MSN, named us among the "7 best home renovation blogs" of all time (I added that last part). Cabin Fervor appears last in the slideshow, and I will take that to mean they saved the best for last. Seriously, I am stunned to be featured among some of my favorite regular reads including Katy Elliott and Door Sixteen. Can you believe it? I've been a somewhat aimless and haphazard blogger since Johnnie was born, and this is definitely motivation to keep plugging away with the renovation process and with the blog. 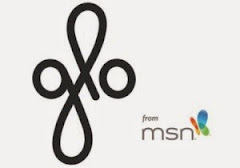 By the way, if you've discovered this little slice of internet via glo, welcome! Please remove your shoes and feel free to stay as long as you like. Thanks to Rebecca at glo for this honor, and, most importantly, thank you all for reading and for cheering us on for the past three-plus years. We've laughed, we've cried, we've threatened to burn things down. It's been special, and I'm honored to be on your reading list. Awesome, congrats! Your house reno is so much more interesting than many others on the webs, so deserves all the attention it gets! I keep telling people about your adventures in renovation.......congratulations! What a cool honor. Congrats!